We created Random App of Kindness (RAKi) to help increase empathic habits in teens using interactive games designed for smartphones. We used evidence-based approaches to design and test an engaging and interactive smartphone app with the purpose of teaching and reinforcing some basic building blocks of empathy in teens. Our goal is that playing with RAKi will help young people develop skills for healthier and more positive social connections. This project optimistically predicts that biology is not destiny – empathic character can grow even among those of us who find it more difficult. We believe that prosocial technologies can help to create more prosocial individuals, which in turn can lead to more prosocial relationships, communities, and ultimately, more prosocial societies. Although this app was developed for young teens, it can be enjoyed by all. Join us on our characters’ random adventures! This game involves teaching people to better identify emotions in others’ faces, which is linked to empathy. People who score high on emotion recognition tasks have higher self- reported empathy and more helping behaviors. It is important to recognize what others are feeling in order to respond appropriately to their needs. This game asks players to match the eyes, nose area, and mouth area to the right emotional word, teaching players to pay attention to different areas of the face when trying to identify emotion. This game is based on research related to nurturance which suggests that a powerful driver of empathy is the desire to protect others who are young, cute, or vulnerable. It is important for young people to learn to accurately read the signals of crying babies, especially when they have very little exposure to babies in their real lives. 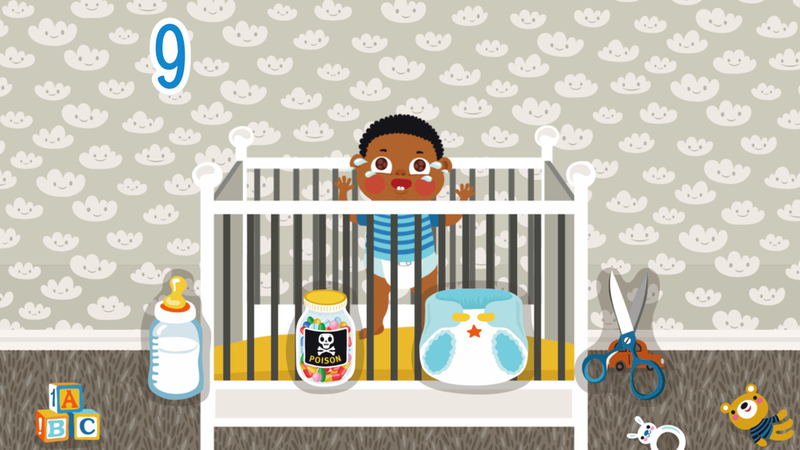 In this game, we used real baby cries of hunger or pain (from a vaccination), along with matching facial expressions, to teach young people that baby cries are meaningful ways of communicating their needs. This game is based on research on the prosocial benefits associated with moving in synchrony with others. Music is a powerful force in connecting us with others. Research finds that coordinated or synchronous actions between people can help to enhance rapport, build trust, and increase compassion, cooperation, and helping behavior. In this game, players are invited to “dance” in sync with the character by pressing the colored notes at the right time. This game is based on research on the empathetic benefits of motor mimicry. Empathy is related to mirror neuron activation in the brain. Many studies point to the important role of imitation (either imitating others’ actions or being imitated) in empathy and prosocial tendencies. Imitation of facial expressions is so rudimentary to humans that it is seen in newborn babies. Research has found that people imitate emotions even when they are exposed to pictures of emotional facial expressions at levels below their conscious awareness. The goal of this game is to trace the characters’ facial expressions, and a large word at the top of the screen will show the corresponding emotion word. Our hope is that the motion of tracing the emotion along with seeing the emotion spelled out will elicit that response in the player. Self-affirmation is a process of reflecting on one’s important values. For example, these values may include being kind, caring, forgiving, and giving. In self-affirmation studies, participants are asked to choose their top values, and the studies typically find a reduction in anxiety and defensiveness, which has downstream positive consequences such as lower aggression and more helping behavior. In this game, players are asked to choose between being something more prosocial or being something more focused on the self. Executive function involves the regulation, control, and management of cognitive processes, including planning, intentional focus, response inhibition, and task switching. Research finds that several aspects of executive function are associated with increased empathy and helping behaviors. Response inhibition, which is one facet of executive function, is the ability to inhibit dominant responses accurately and quickly. Research finds that people who can inhibit a dominant response have higher empathic capacities. 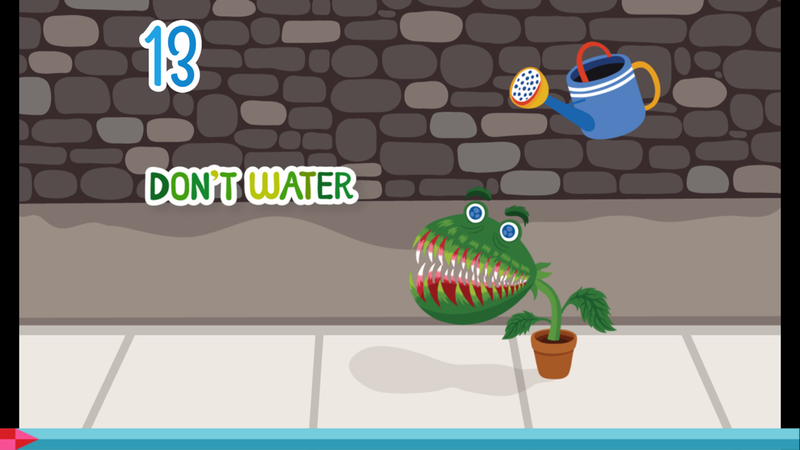 In this game, the goal is for players to be able to water the plant as quickly as possible, but immediately stop doing it when they are cued. Role taking or perspective taking are cognitive forms of empathy that involve trying to vividly imagine other people’s situations, feelings, and points of view. Often the targets of such perspective taking are vulnerable or stigmatized in some way. Through inducing the point of view (i.e. 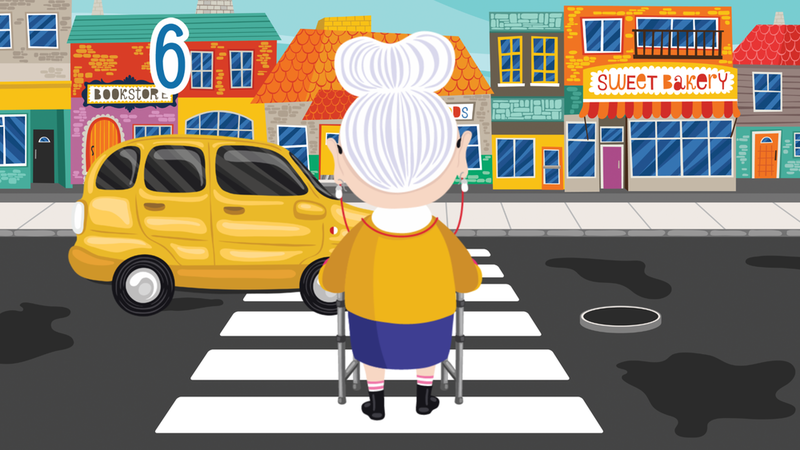 visual perspective taking) of the old woman, players can better imagine the difficulty of performing everyday tasks such as crossing the street with limited mobility. Like the baby game, this game is also based on research finding that young, cute, and vulnerable others help to inspire empathy. Cute animals can help facilitate empathic responses in a similar way as babies or young children. For example, research finds that children with pets have more empathy than those who don’t have pets, and that positive interactions with animals can help to increase empathy. 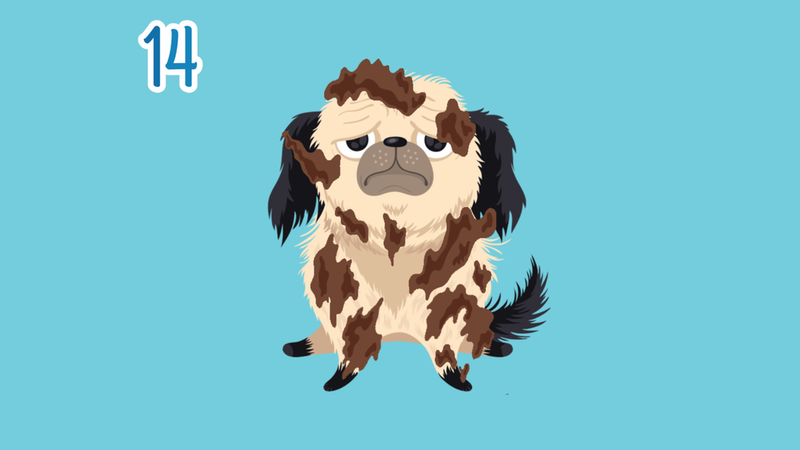 In this game, players are asked to gently stroke Harriette the dog and clean her fur. If successful, she will transform from sad to happy. This is based on conflict resolution research that finds that skills related to anger management and impulse control can increase empathy and decrease aggression. Conflict resolution skills involve finding ways to maintain positive social relationships even in the midst of disagreement or strong negative emotions. There are many different successful conflict resolution programs, and in a recent meta-analysis, we found that they are effective at increasing empathy among children and adolescents. In this game, players are faced with an angry man, and the strategy is to just walk away calmly, rather than escalate the conflict. Our preliminary analyses indicate that young people (ages 10-17) who were randomly assigned to play the Random App of Kindness game for 2 months had more empathic emotional responses to someone in distress, and also had less aggressive beliefs and behaviors, compared to those who played a control game for 2 months (Two Dots). In addition, the RAKi app led to a dramatic increase in helping behavior among boys, with those who played RAKi being more than 3 times more likely to help someone in distress than those who did not. (Most girls were already willing to help, regardless of game play.) However, these results are preliminary and may change with additional data cleaning and analyses.